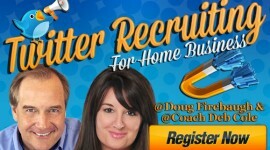 In home business and a home based business, sponsoring and recruiting is a MUST. 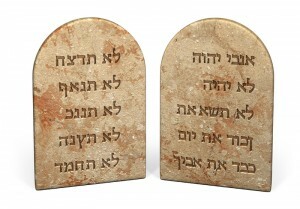 There are THE Ten Commandments that we all are familiar with, and MLM has a set as well, when it comes to recruiting. 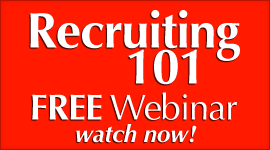 These will help guide you and navigate you to success when recruiting. 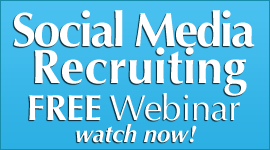 If you understand the message behind them, you can increase your recruiting dramatically. They are for a long term and a short term focus in this business, as well as Increasing Power in your skills. 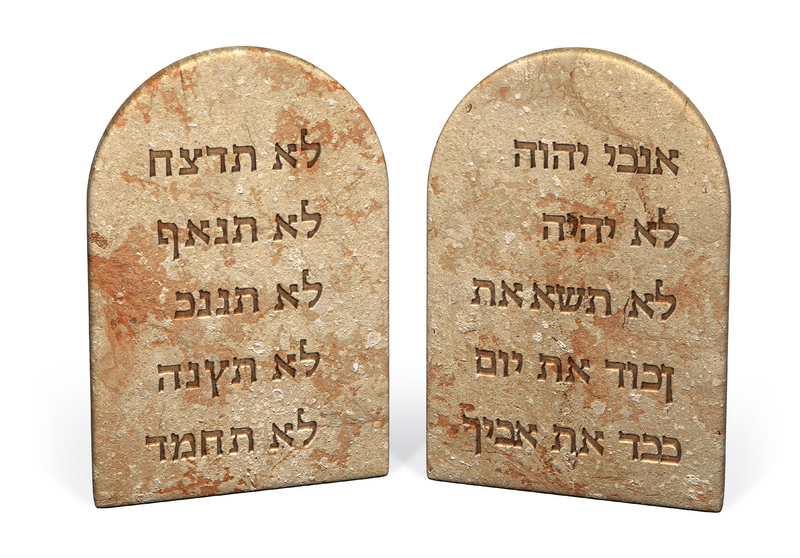 The Ten Commandments of MLM Recruiting. 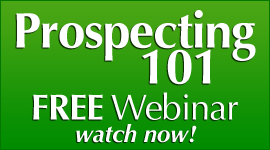 1) Thou Shalt Recruit through Your prospects eyes. So many times when we are trying to recruit, online or offline, we do not take the time to see what our prospect is seeing. Your prospect is looking through THEIR eyes, not yours, and has no clue to how you see things…the only thing that matters to them is how THEY see things…and the recruiters who take the time to learn what their prospect is looking for, what is important to them, and what isn’t, will have huge success. Your prospect has a dream for their life, and you must look through that “dream lens” of theirs, and see what they are looking to happen with their life, and show them how you can help them get it. 2) Thou Shalt Focus on Relationships, not just Distributorships. 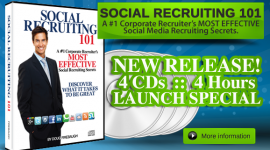 Power Recruiters also know that people are more ATTRACTED to someone who cares about THEM FIRST- then the business. You must be a friend first, before you will ever get to second base…and what makes more sense? Long Term Recruiting in MLM. Recruiting for a Long term retirement producing business, or a short term paycheck? If you focus on your prospect and learn about THEM as a person, not just as part of the process, you will find your results will skyrocket. Relationships are Magnetic…Magnetize your Distributorship with Relationship Recruiting! 3) Thou Shalt Garner Leads Everyday. Leads are the lifeblood to any distributorship. And most folks play the “Baking game” in recruiting. Instead of going out and getting new leads daily, they go out and hold onto their existing leads, and wait for them , like a cake in an oven, to bake and turn into HOT leads and ones that will come into their business. Are you a chef? or a leader? You MUST have a methodical plan and system to create and find leads daily, and to quit the “baking game”…which in reality is the “faking game”…you are faking at doing this business by holding onto leads that you hope will turn into prospects, even after a negative response, but never do. The Magic of MLM is in the Multiples…. And the Lotto is in the List. Continue daily to get at least ONE lead a day to create enough numbers to talk to that will create enough of a paycheck to talk about. 4) Thou Shalt Draw Them In. Find out what is important to them, and the what they want out of life…then wrap your presentation around that. Ask lots of questions, and paint a picture with your words with them obtaining their dream….look them in the eyes, smile, touch their arm, nod your head, talk their language…don’t get too technical…and meet them first where they are in life…and then take them to where you can lead them….that’s Power Recruiting. 5) Thou Shalt Educate, not Regurgitate. You must understand that Recruiting is an education process , not just informing and regurgitating facts. People want to learn…that is their nature when they are looking at doing something…but many folks “Dump” all they know on them, and suffocate them with Information, not education. 6) Thou Shalt Communicate Hope, Possibilities, and Belief. All people are looking for more Hope in their life, the hope that life will turn out better than it is. All people are looking for more possibilities to increase and improve their life. And all people are looking for more belief that they are on the right track, and belief they can have a more richer and fulfilled life. You must create an MLM Environment of Hope, Possibilities, and Belief Oxygen. …when recruiting. That “oxygen” will prove to be Explosive..
7) Thou Shalt Know the Fortune is in the Follow Up. It does no good to make an MLM presentation and do all the initial recruiting steps…if you don’t Follow Up. 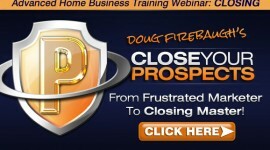 Get this: Follow Up is where you get paid! The earlier steps are just leading up to it. If you want to create a fortune, create a system to follow up, and stick to it, and make it duplicatable as well. 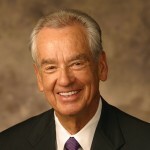 If you discovered a Gold Mine, you would want to finish digging and finding the gold vein. it’s the same in the follow up. 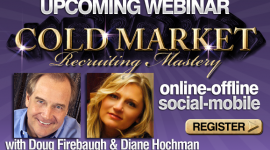 There is no paycheck with out a call back! (CLUE!!!!) The fortune is in the Follow Up…No Follow Up, no Check going Up! Can you be persuasive? Absolutely! but be mindful that if this business is truly NOT for them, they may know someone who it is for……What are Navigators? They aresimply phrases that help guide the prospect to the finish line. They are Powerful, and deadly…. 9) Thou Shalt Shake the Dust Off Your Feet. -There is no one blinder who can see, but won’t…. What is that? It stands for Recruiting Is A Form Of Leadership. Period. Why is that True? …You are asking someone to follow your lead into a business. …You are asking someone to follow your lead about a product… …You are asking someone to follow you into an unknown future. 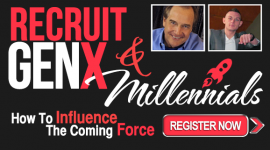 And when you recruit, people are looking to FOLLOW you, not just sign up with you..(CLUE!!!!). They will be looking for Strength and Solidity in you and your direction and Leaderhip. You are asking someone to follow your lead…but first, you have to be worthy of following.